Determining Costs to Build a New Home: A reader question - Armchair Builder :: Blog :: Build, renovate, & repair your own home. Save money as an owner builder.- Armchair Builder :: Blog :: Build, renovate, & repair your own home. Save money as an owner builder. The best method for pricing out any project is to actually solicit bids from trade contractors and suppliers. The regional cost data available is typically not all that accurate. Our resources are geared to help with this bidding process. Here are some of the resources in our Complete Package and a brief description of how they can help you. Keep in mind, we have detailed descriptions and videos of these at the Armchair Builder e-Store on our site. Scopes of Work and Specifications – You need to tell your trade contractors exactly what you want to have done on your new home. This would include things like type of drywall corners (i.e. round or square), trim material sizes and shapes, number of paint coats and colors…etc. The scopes should also include general items like following OSHA regulations, building a quality product and protecting the work in place. These documents help get you started. We have some examples of scopes of work and specifications on our website. 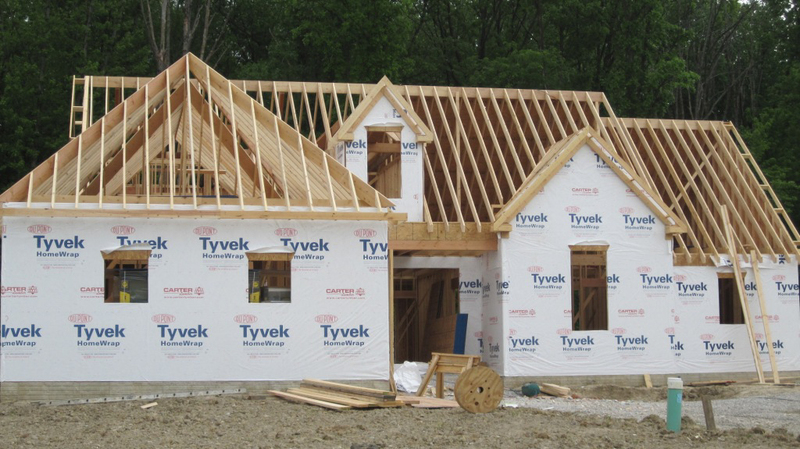 Bid Sheets – When I started building houses I realized how unsophisticated most of the small trade companies are that work in residential construction. A lot of these folks work out of their truck. So I wanted to give them a format for submitting their bids so I would stop getting a single dollar amount on a napkin or 2×4. A single number is no good for bids because you don’t know if they’ve included everything. If they miscalculate and underbid, they will just walk away in the middle of the job leaving you with a mess. The bid sheets allow you to see unit pricing for each trade activity which allows you to easily compare bids. New Home Budget – This resource lists out all of the line items for building a home from planning to move in. After building hundreds of homes I realized there were common, reoccuring items that would occur on every new home build. We’ve included common percentages for each activity that shows how much of the total that line item typically is. This helps to compare your overall house costs to see if anything looks out of line with the averages. Building a Home: A Step by Step Guide – This guide ties all of the Armchair Builder resources together to show the owner builder how to go from an idea to a finished home. This is our flagship product that helps folks that don’t have a lot of building knowledge get through the process. Although bidding out the new home project is the most accurate method to determine cost, you may just be looking for a rough cost estimate for planning purposes. If this is the case, you may want to checkout this Armchair Builder video, Getting Started, How Much Will it Cost? << Reader Question: What’s Included in the Complete Armchair Builder Product Package?